As you might know by now, we’re big fans of the DC Craft Bartenders Guild’s annual Repeal Day Ball, which celebrates the national repeal of Prohibition. What you might not know is that DC’s local prohibition law remained on the books for a few more months after the national repeal. Today is the anniversary of the repeal of prohibition in DC. According to Garrett Peck’s book Prohibition in Washington, DC, DC’s repeal went into effect just after midnight on March 1, with some 200 licenses hand-delivered by police and other DC officials. The first recipients? The National Press Club, who still have license ABRA-000001 [PDF]. Know of any official or unofficial celebrations? Post ‘em in the comments. 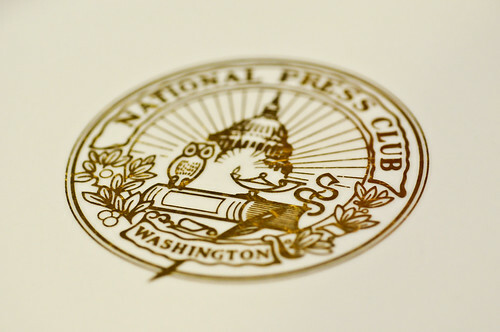 The National Press Club, rich in historical context and paramount in its mission, is best-known as a retreat for the affiliates within the journalism industry. 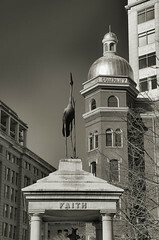 As a Washington, D.C. fixture, the feeling evoked upon entrance into the Club could best be compared to the dilemma that a young child may face as they enter the formal living room of the home – you are in complete awe of its presence and utterly afraid of breaking something, yet, somehow still manage to want to touch everything in sight. The good thing is that what differs between this presented scenario and that of my first visit to the National Press Club, is that at the Club exploration is not only encouraged – it is celebrated.